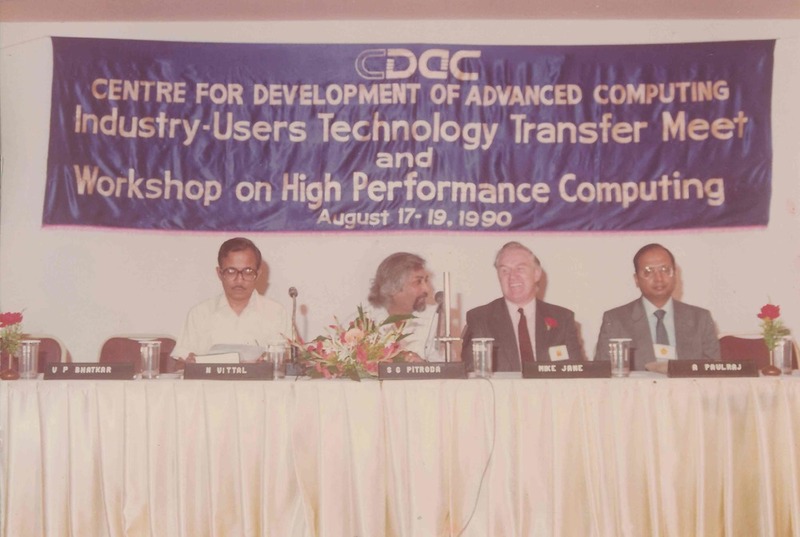 In 1984, Sam Pitroda and Rajiv Gandhi worked together to establish the Center for Development of Telematics, commonly referred to as C-DOT. The mission of C-DOT was to help develop telecommunications technology that specifically met the needs of the Indian telecom network, with a focus on building human resource with young Indian talent to improve accessibility, rural telecom, digital networks, indigenous development and local manufacturing. The shared vision was that telecom brings about openness, accessibility, connectivity, networking, democratization, decentralization and as a result social transformation by bringing a diverse group of people on a common platform to interact and participate in overall development. Sam Pitroda served as the Principle Advisor to C-DOT, taking a token salary of only 1 rupee per year. In a 36 million dollar deal with parliament, they had three years to design a digital switching system suitable to the Indian network. C-DOT’s first offices in 1984 were 5 rooms in a run-down government hotel, using beds as desks. By 1986, C-DOT had grown to 425 employees with an average age of 25. After three years, C-DOT had delivered exchanges that met India’s specific needs, and all could be manufactured in India. With political will from Rajiv Gandhi, the Telecom Commission was established in 1989, and subscriber trunk dialing/public call offices (STD/PCOs) were introduced and privatization was encouraged. Thereafter, mobile telecom and private entrepreneurial initiatives have changed the telecom scenario altogether. In early 80’s, India had 2 million telephones for approximately 800 million people and the telecom industry was predominantly owned by the government. Today, India has over 900 million mobile phones for 1.3 billion people and is a country of a connected billion.